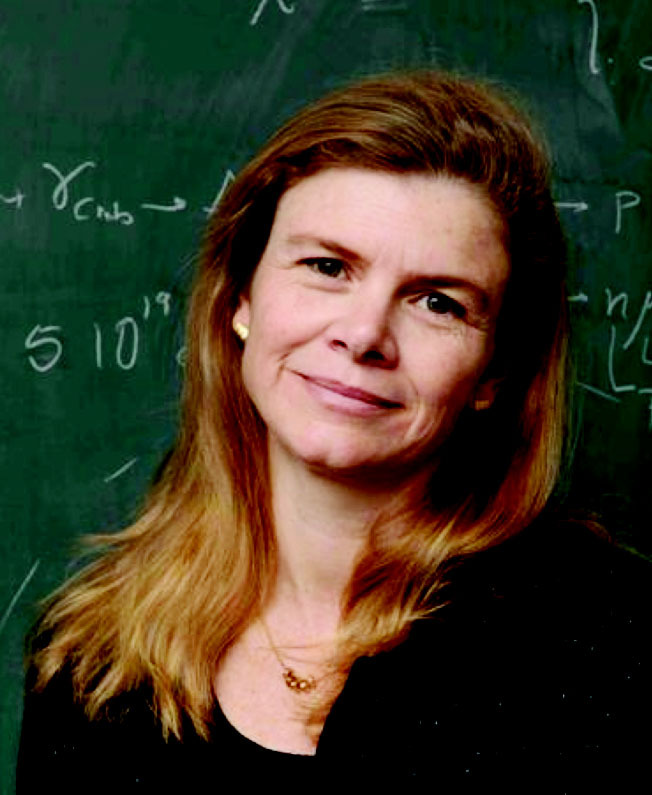 I am very pleased to announce that effective 1 January 2014, Angela Olinto will be the Homer J. Livingston Professor. This appointment is in recognition of Angela's contributions to scholarship, teaching, and the intellectual community of the University. Please join me in congratulating Angela! 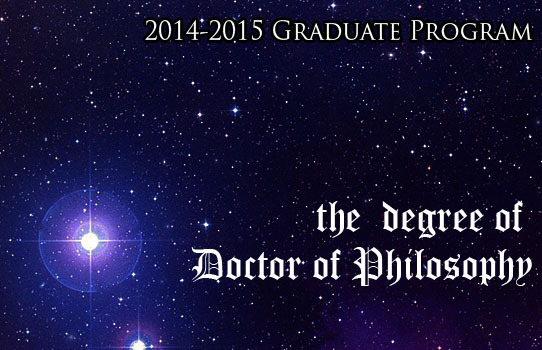 Take the next step to becoming a graduate student at the Department of Astronomy and Astrophysics of the University of Chicago! To apply for the graduate program visit the University of Chicago Graduate Admissions website. Under, Find Your Graduate Program and Apply, we are the Physical Sciences. The deadline for applications: January 6, 2014. Michael Gladders, an Associate Professor in Astronomy & Astrophysics, just started his term as Assistant Chair for Academic Affairs replacing Prof. Donald York who has been an Assistant Chair for Academic Affairs for four years. Congratulations to Dr. Alissa Bans! Congratulations to Alissa Bans for successfully defending her PhD dissertation on "Large-scale Magnetic Fields in Protoplanetary Disks." 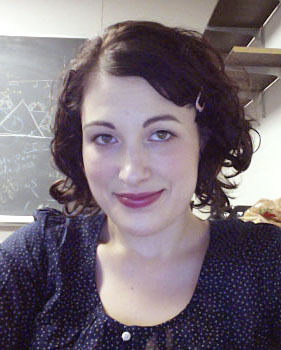 Alissa has received a postdoctoral fellowship at the Adler Planetarium. Congratulations to Dr. Abigail Crites! Congratulations to Abigail Crites for successfully defending her PhD dissertation on "A Measurement of the Cosmic Microwave Background Polarization with SPTpol." 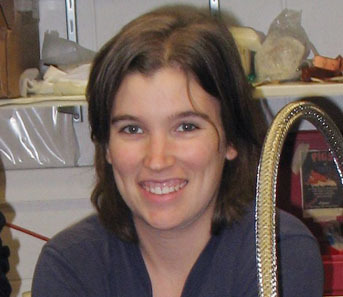 Abigail has received a KISS Postdoctoral Fellowship at Caltech. A warm thank you to all of you for making Friday's GMT Partner Retreat a success, and for all of your ongoing support and encouragement for the project. With the third mirror now in production, we are continuing to reach major milestones, and to keep on target for our construction start in early 2014. The mirror casting was a huge success, as was the media interest. The casting story was picked up by the CBS evening news last evening. A video made by Robin and Todd Mason (of Journey to Palomar fame) was sent to the press in advance of the mirror casting. It was picked up by NPR and now has over 19,000 hits and is still climbing. The story was also picked up by the LA Times, Arizona Daily Wildcat, Canberra Times, Houston Chronicle, Washington Post, CNN, and USA Today, amongst many others. 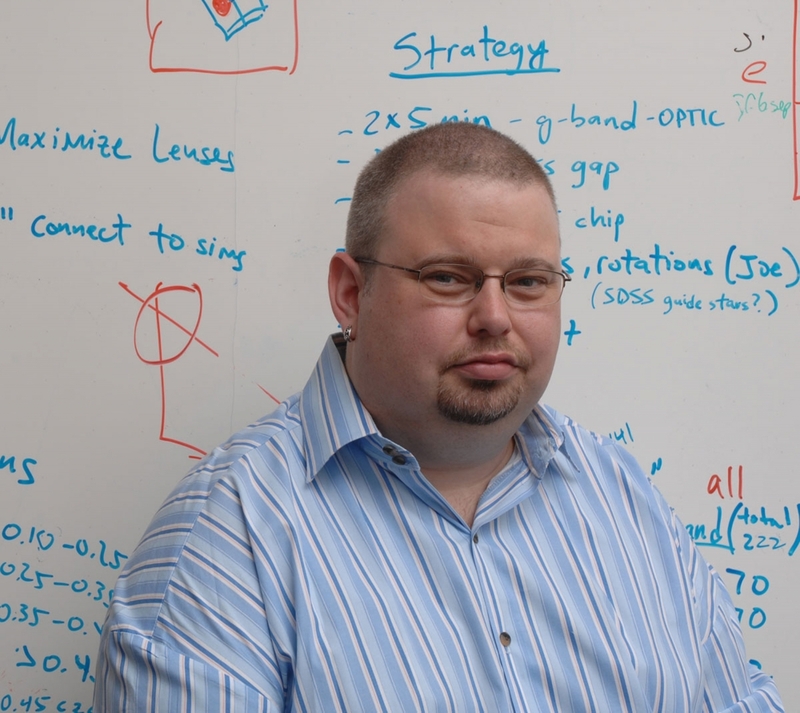 Congratulations to Dr. Christopher Sheehy! Congratulations to Christopher Sheehy for successfully defending his PhD dissertation on "Progress towards a detection of inflationary B-modes with the BICEP2 and KECK array polarimeters." 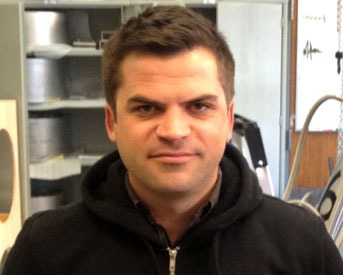 Christopher has received a fellowship position at the KICP. 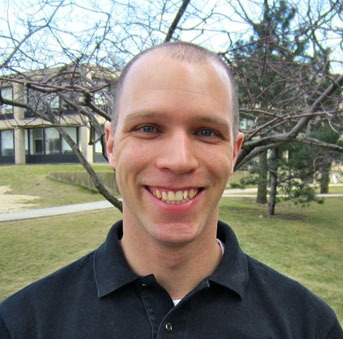 Sean Johnson has been selected the Brinson-Carnegie Pre-Doctoral Fellow for academic year 2013-14. The fellowship will support his work at the Carnegie Observatories in Pasadena, California under the supervision of Prof. Hsiao-Wen Chen. * "An advanced, five orders of magnitude dynamic range, wafer-scale pixel system for X-ray science", University of Chicago Investigator: John Keith Moffat, Louis Block Professor of Biochemistry and Molecular Biology; Fermilab Investigator: Grzegorz Deptuch, Engineer IV, Particle Physics Division; Argonne Investigator: Robert Bradford, Assistant Physicist, X-ray Science Division. * "Development of low noise electronics for the first direct Dark Matter search using CCDs" (funded for a second year), University of Chicago Investigator: Paolo Privitera, Professor of Astronomy and Astrophysics; Fermilab Investigators: Juan Estrada, Scientist II, Participles Physics Division and Gustavo Cancelo, Engineer IV, Scientific Computing Division. * "SCENE: SCintillation Efficiency of Noble Elements", University of Chicago Investigator: Luca Grandi, Assistant Professor of Physics; Fermilab Investigator: Stephen Pordes, Scientist II, Particle Physics Division. 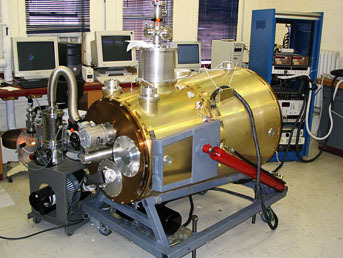 The Strategic Collaborative Initiatives Program began in 2006 when the University renewed its contract with the DOE to manage Argonne. The SCI program includes collaborative research projects, strategic joint appointments, and joint institutes. The University extended the program to Fermilab when it became co-manager of the lab in 2007. Gravitational lensing of the cosmic microwave background generates a curl pattern in the observed polarization. This "B-mode" signal provides a measure of the projected mass distribution over the entire observable Universe and also acts as a contaminant for the measurement of primordial gravity-wave signals. In this letter we present the first detection of gravitational lensing B modes, using first-season data from the polarization-sensitive receiver on the South Pole Telescope (SPTpol). We construct a template for the lensing B-mode signal by combining E-mode polarization measured by SPTpol with estimates of the lensing potential from a Herschel-SPIRE map of the cosmic infrared background. We compare this template to the B modes measured directly by SPTpol, finding a non-zero correlation at 7.7 sigma significance. The correlation has an amplitude and scale-dependence consistent with theoretical expectations, is robust with respect to analysis choices, and constitutes the first measurement of a powerful cosmological observable. Congratulations to Dr. Krista Martocci! Congratulations to Krista Martocci for successfully defending her PhD dissertation on "Dynamo Action in Taylor Couette Flow." "Krista has studied the development of turbulence and dynamo action by the Magneto-Rotational Instability in centrifugally stable, differentially rotating systems. Her results have direct applications to the problem of the origin of turbulence and enhanced angular momentum transport in astrophysical accretion discs." 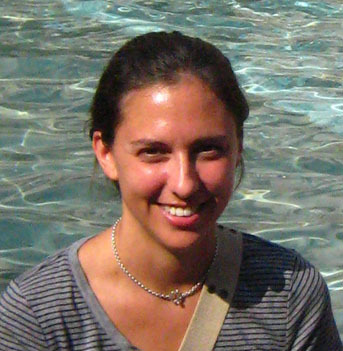 Krista has received a postdoctoral researcher position at the Center for Magnetic Self Organization, the University of Chicago. Our very own Randy Landsberg was a crew member of the Providence Team that finished in 1st place overall in this year's race to Mackinac. This is the second time this team has finished first overall in the race of 333 miles distance, nearly an hour ahead of the 2nd place boat. See 105 Race to Mackinac for the final results. 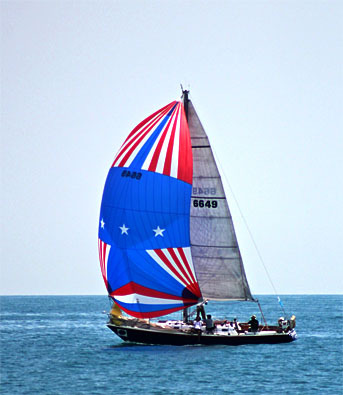 The Chicago Yacht Club Race to Mackinac is run by the Chicago Yacht Club, first run in 1898. It is one of the longest fresh-water races in the world, with hundreds of boats entering the race each year. The race starts off the mouth of the Chicago River in Chicago, crosses Lake Michigan, barely enters Lake Huron, and finishes in the Round Island Channel, off Mackinac Island, Michigan. The race course runs 333 miles. 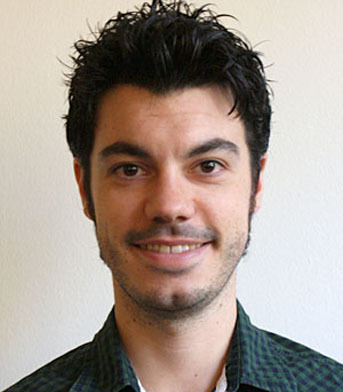 Alessandro Manzotti, graduate student in the Department of Astronomy and Astrophysics, has won the Alumni Club of Italy Scholarship for 2013-2014. The University of Chicago Alumni Club of Italy established this award for Italian nationals enrolled in a University of Chicago program. 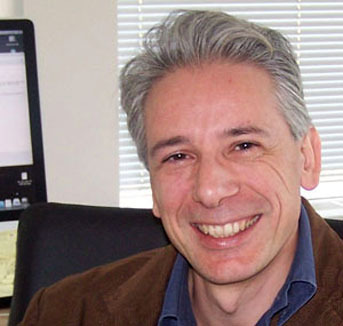 This is the first time a scientist has won this award. Manzotti is working on studying the large scale properties of the Cosmic Microwave Background. 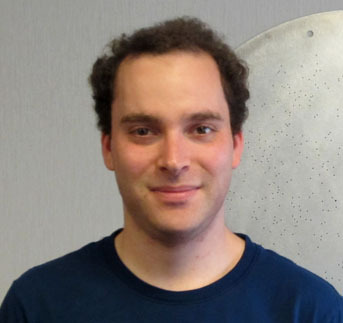 Assistant Professor Jacob Bean has been awarded a historic 150 orbits of Hubble Space Telescope (HST) time for observations of exoplanet atmospheres. His team's research program seeks to improve our understanding of the nature and origins of planets through a comprehensive study of the composition, thermal structure, and dynamics of extrasolar planetary atmospheres. The HST observations will probe the atmospheres of eight exoplanets ranging in mass from (0.04 to 10 M_Jup) using the transit technique to precisely measure their transmission and emission spectra. This is the largest Hubble program ever for exoplanets, and the first to be deemed a "Treasury Program" (i.e., designed to create datasets of lasting value to the HST project that should be obtained before HST ceases operations). Graduate student Laura Kreidberg and postdoc Kevin Stevenson will be leading the data analysis, and observations will begin in October 2013. I am happy to say that HAWC left Yerkes today. It is scheduled to reach JPL in 44 hours. It will be upgraded and ready to fly in 2015. Congratulations to Al Harper and the HAWC team for reaching this milestone. And thanks for taking on this challenge on behalf of the Physical Sciences and the University of Chicago. 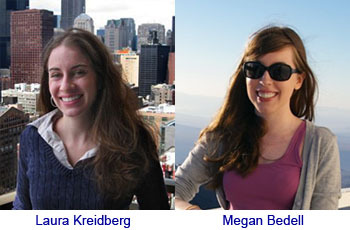 Congratulations to Department of Astronomy & Astrophysics students Laura Kreidberg and Megan Bedell for winning NSF Graduate Research Fellowships! Megan Bedell is a first-year graduate student. Her current research projects include analyzing millimeter-wave observations of massive star-forming regions with Prof. Doyal Harper, and searching for exoplanets using the radial velocity technique with Prof. Jacob Bean. Laura Kreidberg is a second-year graduate student and a doctoral candidate. Her research is focused on studies of super-Earth atmospheres using the Hubble Space Telescope and ground-based telescopes in collaboration with Prof. Jacob Bean. The National Aeronautics and Space Administration has awarded a $4.4 million grant to a collaboration of scientists at five U.S. universities and NASA's Marshall Space Flight Center to help build a telescope for deployment on the International Space Station in 2017. 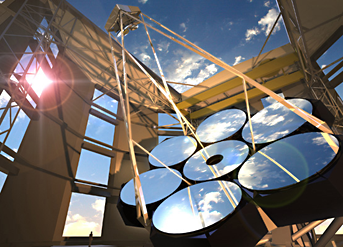 The U.S. collaboration is part of a 13-nation effort to build the 2.5-meter ultraviolet telescope, called the Extreme Universe Space Observatory. The telescope will monitor the Earth's atmosphere searching for the mysterious source of the most energetic particles in the universe from the ISS's Japanese Experiment Module. The source of these energetic particles, called ultra high-energy cosmic rays, has remained one of the great mysteries of science since French physicist Pierre Auger discovered them 75 years ago. These cosmic rays consist of protons and other subatomic scraps of matter that fly through the universe at almost light speed. 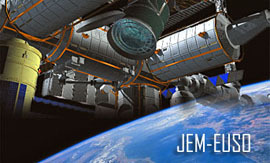 "The science goal is to discover the sources of ultra high-energy cosmic rays by observing their traces in the atmosphere looking 250 miles from the ISS down to the surface," said Angela Olinto, professor in astronomy & astrophysics at the University of Chicago. 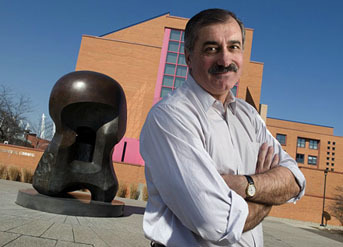 Olinto leads the U.S. collaboration, which includes scientists at the Colorado School of Mines, University of Alabama in Huntsville, University of Wisconsin-Milwaukee and the Marshall Space Flight Center.